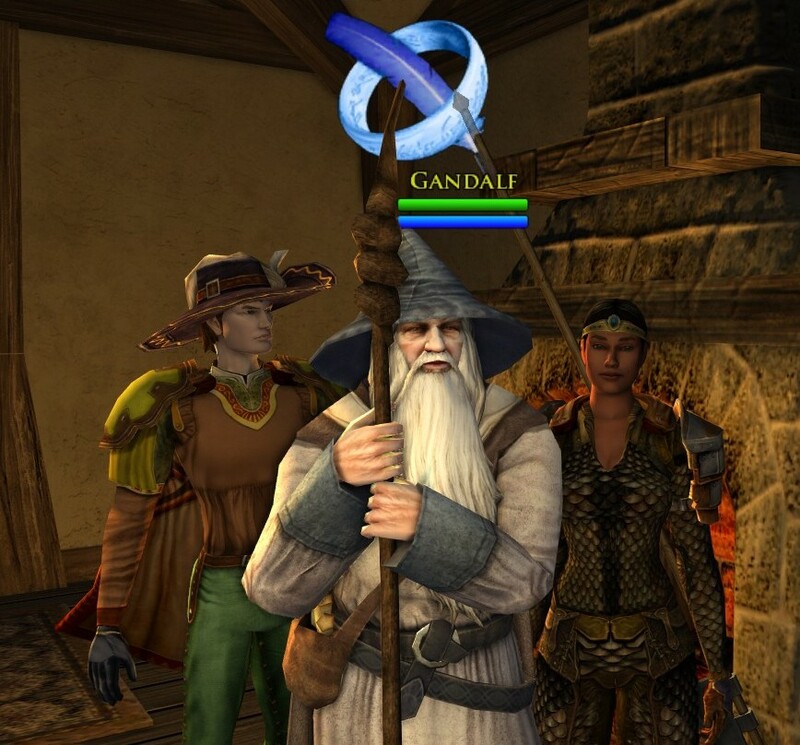 Shockingly, Mr. Randomessa and I are still playing Lord of the Rings Online, which I think makes it the longest straight stint over which we have played one MMO since we pre-ordered Warhammer Online. We are, in fact, playing LOTRO so much that I am not sure our playstyle can be considered “casual” any longer; at least, not by my previous definition. 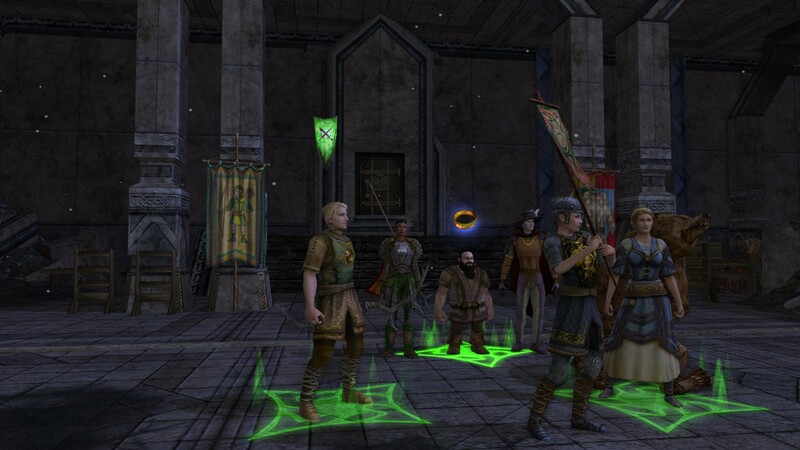 I feel badly that we haven’t taken the time to check out the F2P launches of City of Heroes or Fallen Earth, but LOTRO is taking up all of our gaming time these days. While it is true that we have not been racing to endgame (we only dinged level 33 this weekend), we have been amassing several hours of playtime across multiple alts and crafting professions. We have each purchased deluxe houses in the Falathorn homesteads – that’s how we know we’re serious! – and have begun decorating in earnest. Two of our alts, a Hunter for him and Rune Keeper for me, even duo together on odd days. And all this without PvP! Although I suspect that some of the more vicious bidding wars Mr. Randomessa has gotten into on the Auction House for crafting materials are serving as a form of PvP “high” for him…. In a refrain I have heard elsewhere by Minstrels, the class changes in Rise of Isengard have breathed new life into a class I had struggled with since around level 25. My Minstrel is now level 39, having gained three levels last week, and I have been enjoying tackling the Epic Story quests solo, in addition to skirmishing. I feel more sturdy and powerful than ever, and am seeking out new challenges to test the limits of my damage-dealing capabilities. Having unlocked more than the initial two free skirmishes, I was surprised to find that several of the later skirmishes were much easier than the early ones. 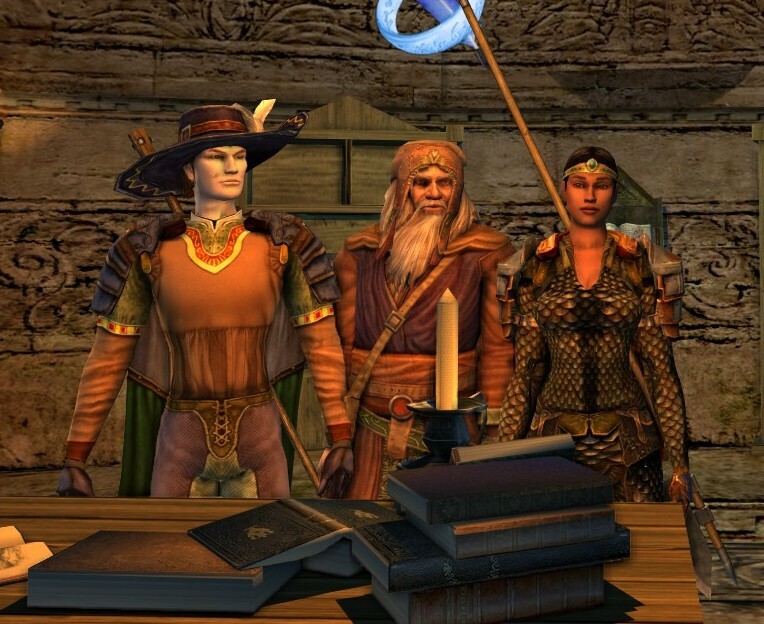 I had much more fun and success running Attack at Dawn, Thievery and Mischief, or Stand at Amon Sul than I ever managed solo with Siege of Gondoman or Trouble in Tuckburough, which has made skirmishing a more fun and rewarding experience across all my characters. Of course, with the tiny army that is our Captain and Loremaster combination, we’re still doing well with Tier 3 skirmish challenges, which I lay at the feet of Mr. Randomessa’s newly-acquired Lynx pet; enemies simply melt away before his stealthy kitty swipe. We’re also doing well with the Hunter/Rune Keeper pair; I was interested in trying the Rune Keeper for some time already, but upon learning more about its skills and realizing that in the healing attunement it’s essentially a Prot Monk, I was sold. With LOTRO’s slower-paced combat, this actually feels like something I might be able to do (and enjoy doing), and so far I’m liking healing with my RK more than I ever did on my Minstrel. Sadly banished to the bench is my adorable Hobbit Warden, who, although invincible and mighty, just wasn’t a playstyle I really enjoyed at level 17. She’s resting comfortably at Michel Delving, cooking up a storm for the rest of the team with occasional overnight stays in Esteldin to craft jeweled goods and runestones as well. In the meantime, we will need to make some decisions as to what quest pack(s) Mr. Randomessa should buy to add variety to our alts’ leveling paths. Hopefully, one or two will round out the content he already has through the Isengard expansion; thanks to my VIP status, I have already earned enough TP to purchase the rest of the content should we still be playing at level 50, 60 or beyond. To close, one more complaint from the premium member: no permanent swift travel unlocks in the LOTRO Store, Turbine? Really?